In a post Tuesday, I got under the hood of a Twitter argument between Carol Burris and 74 Editor-in-Chief Campbell Brown about NAEP, proficiency, and grade-level outcomes. That wasn’t the real story though. Aside from the technical details of their semantics exercise, the real story is how smart people miss the point. Watching professional people like Carol Burris, Diane Ravitch, and Tom Loveless go after Campbell Brown feels like being a referee in an outbreak of white on white crime. My allies have already jumped into the fray with a piece here and here, but I’m compelled to speak up too because these exchanges frustrate me with how they miss the point. Burris is a highly regarded (and very well paid) former Long Island high school principal who now runs a labor funded organization that argues parents should have no education options outside of traditional district public schools, even when those schools fail. Ravitch is a former historian who transitioned into the role of education polemicist over a decade ago, a switch that caused her to renounce 90% of her life’s work. Loveless is an Ivy League researcher, former teacher unionist, and sometime pal of education reformers. Their target, Brown, is a former television news journalist who now is a full time school reformer advocate. Now that you know the players, I can tell you more about their humbug. Forgive me if I sound dismissive of these really smart people who like to wade in academic minutia. From where I sit, it looks like a self-pleasing dreck tossing competition that can turn into a costly distraction. The point of all education debate in my mind should center on student achievement. How are the children? You already know the answer. You’re not dumb. So why are really smart people splitting hairs about definitions instead of talking about the damning results coming out of too many of our schools? It takes an unacceptable level of naivete to ignore Burris’ intent. Her broadside is political, ideological, and mainly about defending traditional school districts against claims that they should not have a monopoly on educating children. You might say it’s fair for her to correct what she sees as inaccurate comments about education. She is an expert of sorts with both experience and strong credentials. But she wanders from the technical issue headlong into questionable territory when she assigns reductive motives to education reformers (“Brown and her allies embrace privatization and the commercial mindset, while I believe that equity reforms embedded in democratically governed public schools are the most effective and ethical means to improvement”). She also goes in on this very media platform, The 74, and makes hay of Brown’s financial backers. I couldn’t care less about who funds Brown or what Burris thinks about it if focusing their shifts attention from student outcomes. 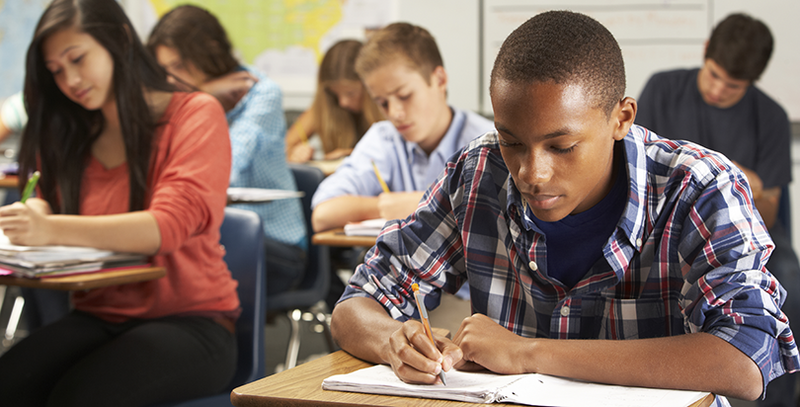 American students – especially the black and brown ones – are doing poorly. Regardless of who you blame for that you can’t improve it unless you admit the problem. Further, can we stop the ruse that demand for better (and more) educational options and the call for radical school improvement comes solely from devious people intoxicated by abstract concepts like “privatization” and a “commercial mindset”? While artfully painting school reform as solely the product of corporate boogeymen, Burris and Co. strategically sidestep a more important point: people of color widely support school reform (see: here, here, here, here, here, and here). Erasing us from the discussion as if we are to be seen and not heard is a form of erasure we can’t allow. Further, it’s equally silly for Burris to say “democratically governed public schools are the most effective and ethical means to improvement,” rather than the new options provided by school reformers. Some of the worst schools for us have been “democratically governed.” That phrase may hold some nostalgic significance for her, but it tells me Burris prioritizes sentimentality and a unionized workforce over all else. Her definition of public education traps students into buildings where careerists have jobs without accountability or results. More than anything, that is the center of gravity for all her arguments against Brown and other school reformers. Finally, there is a danger in indulging highly credentialed people in their eagerness to demonstrate their smarts by over-exercising nuances in language. They become pampered house cats chasing the red blip of a laser pointer, and we join them in losing sight of what matters most. Our kids are in big trouble and damn you if you let these arguments among privileged people take any focus from that. While the racial, social, political, and economic consequences of poorly performing schools are innumerable and harsh, they won’t be felt by Burris who earned $268,000 as a principal; or Ravitch who became a fierce public school advocate only after her children completed private school; or Valerie Strauss – another private school parent – who uses her Washington Post real estate to bolster all the drivel teachers’ unions send her (without mentioning her connection to communication contracts with labor). Marginalized children are losing, daily. Brown is right to use her position to remind us that everyday we are turning out more and more “graduates” who are not ready for the world. If only her opponents put as much energy into attacking the achievement gap as they put into dissing her, we might make some progress. 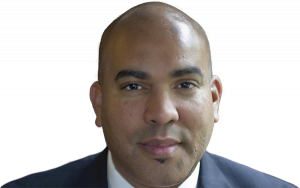 Chris Stewart is the CEO of the Wayfinder Foundation, a former elected member of Minneapolis’s Board of Education, and a 2014 Bush Fellow.